This is really cool Chris. What would account for the instability of these carriers. Do they really wander about that much? What is also interesting is that a lot of the carriers seem to wander about in unison. I wonder if that can be attributed to an instability in the VFO in your receiver. Yes, the common mode drift you see is due to drift in the SDR A/D clock. I updated the article to mention that. You can see some carriers drift on their own, however. Absolutely. 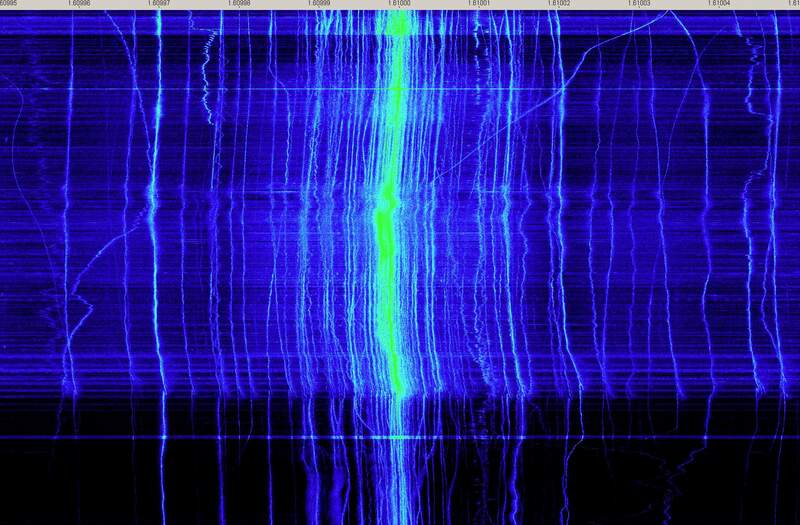 It is amazing seeing this many signals on the one frequency and the variety in which they wander relative to each other. Some are very much locked, others have quite precise periods, others look chaotic or like fluctuations in stock market prices.